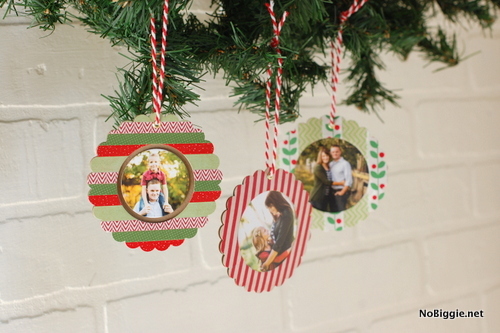 I have a couple more fun projects to share from my new book, Washi Tape Christmas. Here’s a simple craft that would be fun to make with the little ones. 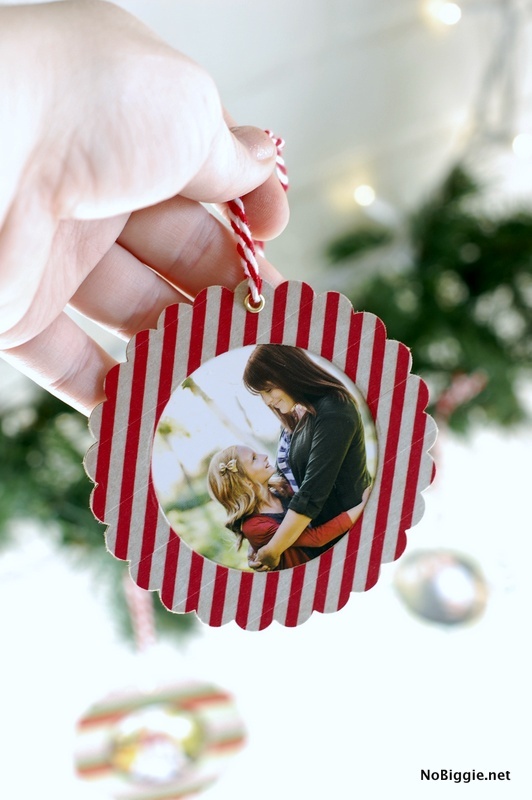 This was one of the first projects I created and it’s still one of my favorites: DIY washi tape photo ornaments. I always cherish the photo ornaments on my tree the most. They’re a sweet reminder of what I’m truly blessed with this time of year…my family. 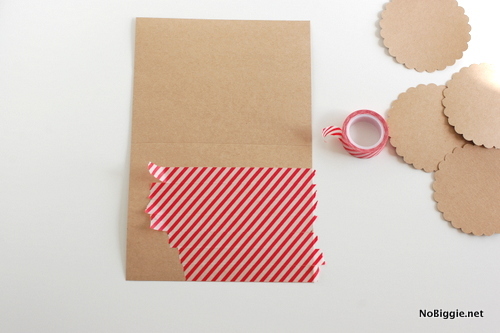 To start, create a washi tape pattern on one side of the card stock. You can either use the same washi tape for the entire photo frame or you can use a few different washi tape patterns making stripes. 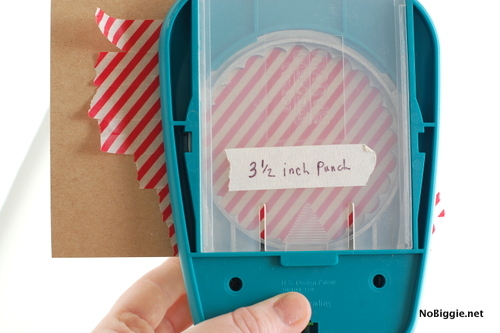 Using your big scalloped paper punch, punch out a circle of the washi tape covered card stock. 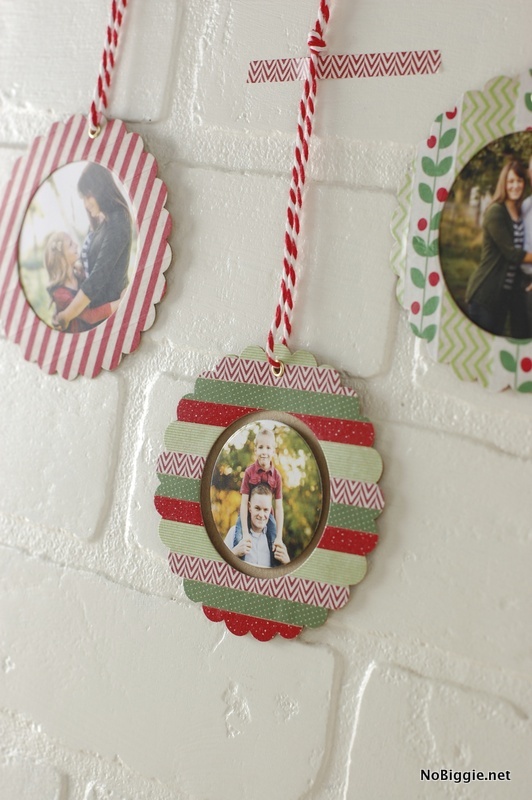 Now punch out a second scalloped circle to be the back side of your ornament. You can leave this as is or also cover it with the same pattern of washi tape as the front side. 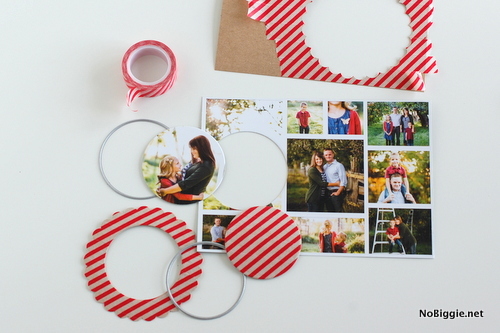 Now using the circle dies cut out photo circles of the favorite faces you’d like to frame. You can mix it up here. As seen in these examples, you can either have the photo behind the frame or you could have it floating in the center of the washi tape frame. 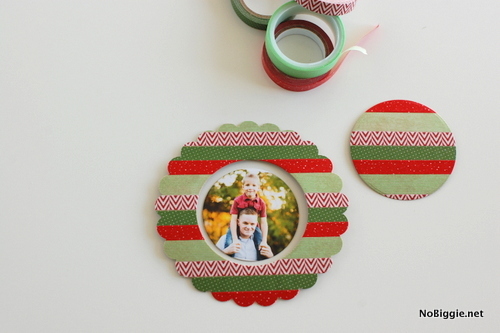 Adhere the circle photo into the washi tape frame. 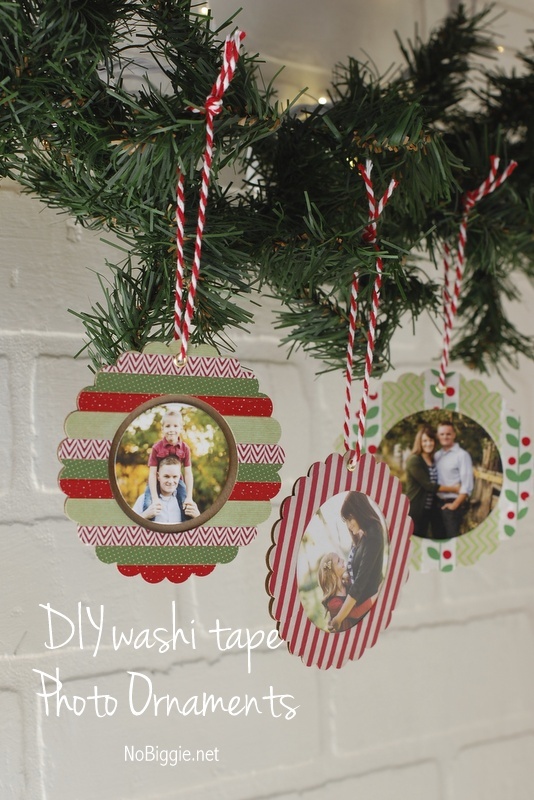 Using a tiny hole punch, create a tiny hole for the washi tape, to make it an ornament. *Optional- by using an eyelet and an eyelet setter, you can make the hole where the baker’s twine goes through more sturdy. I love my Crop-O-Dile for this step! That’s it! Now you have darling light weight ornaments filled with your favorite faces to hang on your tree every year! I still have a few Washi Tape Christmas gift sets for purchase available if you’d like to give one to a crafty friend! There’s a bunch of fun ideas that will work with all holidays just by switching up the washi tape patterns. These are just darling! I love these. Pinned.